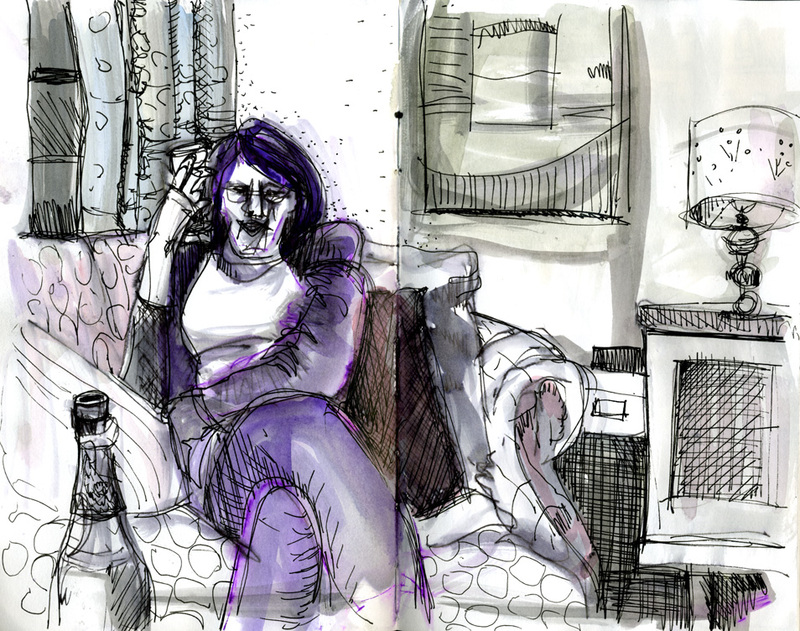 Sketchbook skool – Capturing people, telling stories. 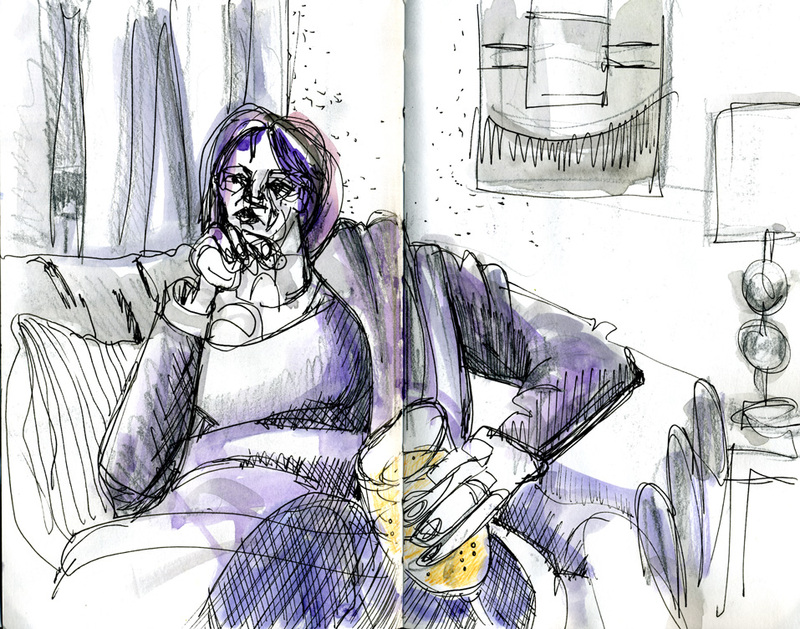 On Friday night I tried the old drinking and drawing game with a tolerant friend who didn’t mind me drawing her! I like the way these look. 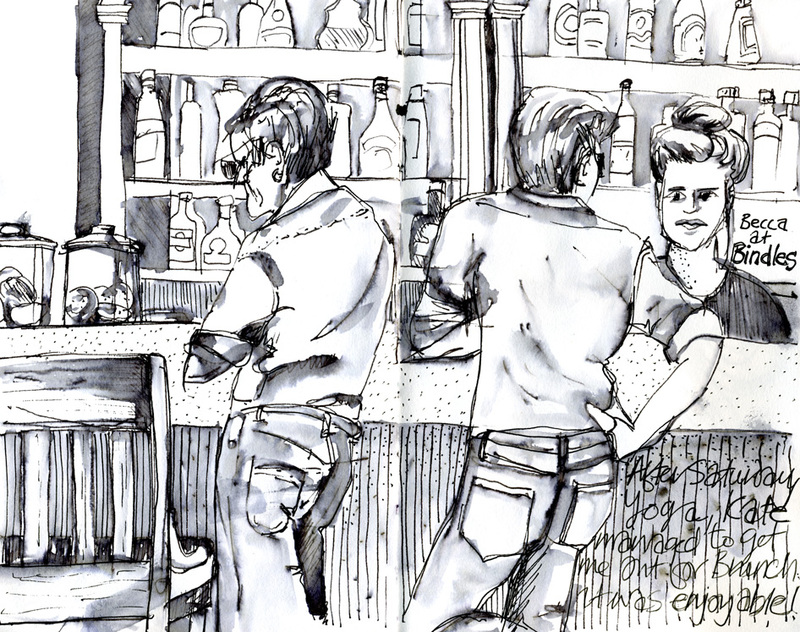 Emboldened, I drew this middle aged guy chatting up the teenage waitress, and showed it to her (after he had left). 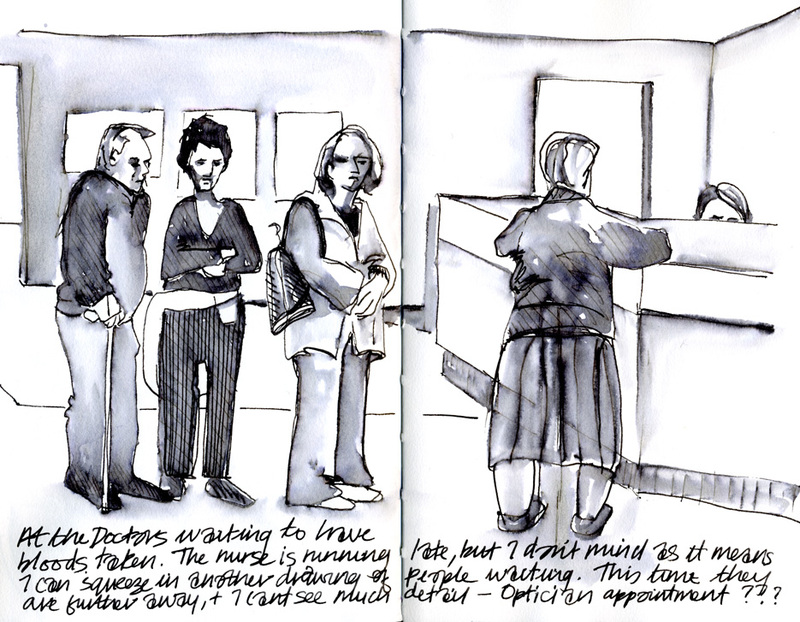 And now I can’t seem to stop drawing- these quick observations from the doctors waiting room today. 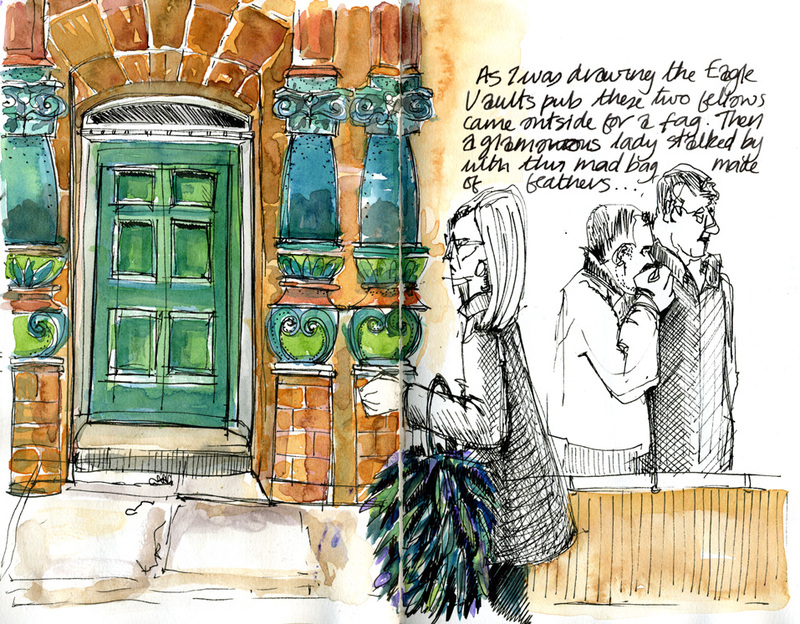 I am loving working in my Stillman & Birn sketchbook, the Alpha series takes pen and wash well with minimal buckling and I am really enjoying drawing with a Lamy fountain pen. 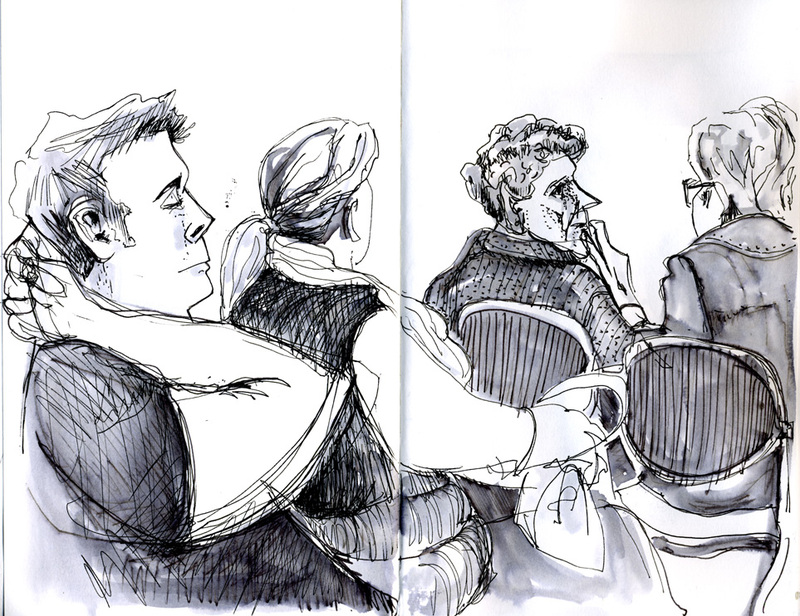 The paper has enough tooth, and the lines are more expressive than those made by my usual uniball eye. I think it’s time I got the india ink and dip pens out to see what happens next! These are quite wonderful!- and you can see the control and confidence, not to mention the great character, that evolves from drawing to drawing…. Thank you Melanie for your kind words. Praise from you means the world to me!